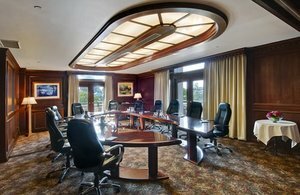 Great ideas can multiply in the right environment and our Victoria meeting rooms provide the ideal setting for your next conference, executive business meeting, or elegant soiree. Whatever job your team needs to accomplish, we’re here to ensure your success. 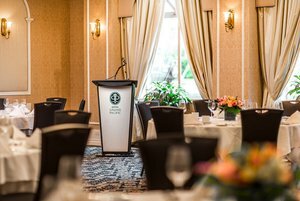 Whether you are hosting a meeting for 2, a conference for 20, or a banquet for 200, the Hotel Grand Pacific is the perfect gathering place and boasts relaxing accommodations with walk-out balconies for your event attendees. 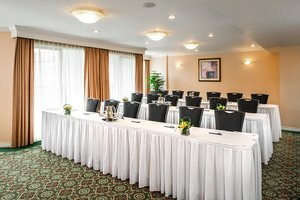 Our downtown Inner Harbour location is central to everything – and with 10,000+ square feet of meeting, conference and banquet space, including a stunning 3,000-square-foot waterfront ballroom; on-site audio visual services; five-star customer care; and award-winning food and beverage – the Hotel Grand Pacific has the perfect meeting rooms in Victoria for your next event. See our outlet capacities and room layouts to find the exact size of venue your event requires! 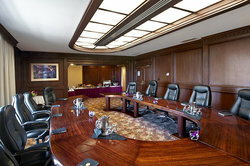 Plan your next event today by simply filling out our Event Space RFP and let us assist with planning. Whether you require a full food menu, an array of gourmet sandwiches, light snacks, or coffee and tea, our culinary team would be happy to provide catering services to keep your team fuelled and productive throughout the day. Our catering services embrace the philosophy of using the best ingredients from local suppliers and focuses on fresh and local cuisine. 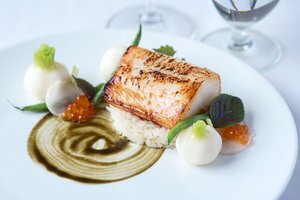 Our culinary team has earned a strong reputation for its outstanding service and attention to detail when creating distinctive seasonal menus. For a unique culinary experience that showcases our obsession for creative dining, quality ingredients, and meticulous technique, have your next event at the hotel catered by our experienced and dedicated team. We understand the important role that audiovisual equipment and technology plays in ensuring a successful meeting or conference—and more importantly the consequences when things go awry. And so, to mitigate any last-minute concerns, we elected to have our AV Company reside on-site at the Hotel Grand Pacific. SW Audio-Visual is British Columbia’s most trusted AV equipment Rental and Services Company, as well as being a certified supplier to the BC Government. To learn more about their services, please contact our Catering Team at 1-800-663-7550. 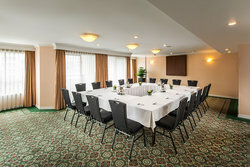 Plan your next professional conference or private gathering today in one of our elegant meeting rooms in Victoria, BC! The Vancouver Island Ballroom features an outdoor terrace that wraps around 3 sides of the ballroom, showering it in natural daylight and offering stunning views of the Inner Harbour. This 3,000-square-foot room is divisible into three sections, each ranging from 800 to 1,300 square feet and is equipped with high-speed wireless internet service. The Pender Island Ballroom is decorated in calming, natural tones, bringing a quiet beauty to the day with its elegant chandeliers, sweeping drapes, high-speed wireless, and large windows. 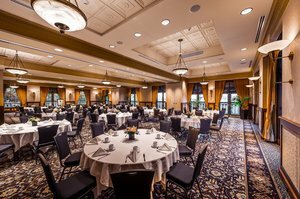 With 2,437 square feet of meeting space, the Pender Island Ballroom is divisible into two sections of 1,425 and 1,012 square feet. Our breakout rooms all offer natural light, high-speed internet, washrooms, and private balconies. Each accommodates up to 20 or 30 people in varying set-ups. 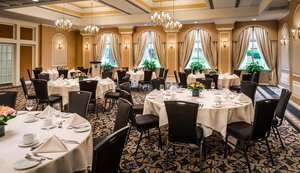 These rooms include the Saltspring Room, the Galiano Room, the Gabriola Room, the Denman Room, the Hornby Room, and the Courtyard Room. Overlooking the Provincial Legislature, the Cabinet Room offers 640 square feet of space, balconies for fresh air, and curtains for privacy. 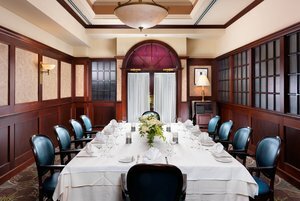 Sit among your colleagues at the grand, oval-shaped mahogany table, with comfortable seating for up to 20 people.